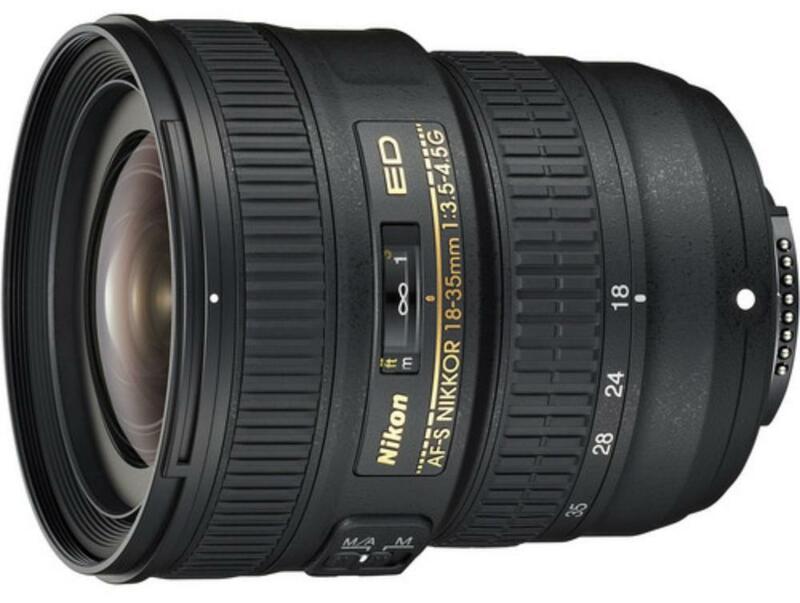 The Nikon AF-S NIKKOR 18-35mm f/3.5-4.5G ED Lens is a wide-angle zoom lens that is compatible with both FX and DX-sized image sensors. An ultra wide-angle zoom lens that covers the ultra-wide to wide-angle 18-35mm range of focal lengths with a minimum focus distance of 28 cm. Equipped with two ED and three aspherical lens elements for superior optical performance, yet weighs just 13.58oz and is compact enough to offer excellent portability. These elements provide a reduction in chromatic aberrations throughout the zoom ranges and furthermore provide an increase in image sharpness, clarity, and color fidelity. Equipped with silent Wave Motor (SWM) for quiet autofocusing, as well as two focus modes—autofocus with manual override (M/A) and manual focus (M)—for excellent functionality. A rounded 7-blade diaphragm produces softer, more natural backgrounds, and Internal Focusing (IF) keeps the lens compact and lightweight, adding to this lens' overall mobility making it an ideal lens for travel applications. Notes: This lens is compatible with both full frame and crop sensor Nikon cameras.